In the spring of 1891, Count Helmuth von Moltke rose to speak in the German parliament on the adoption of “uniform time.” His 90 years of age barely showed; contemporaries later credited his energetic and inspiring speech with swaying an undecided audience toward the support of the proposed change of time. After several years of discussion among ministries, railway officials, legislators, and the public, Germany was finally ready to consider the nationwide implementation of a common mean time. It was less clear whether such a new time would apply only for internal use in telegraphy, railways, and perhaps select government offices, or whether the new mean time would be extended into all aspects of civil life. But in the fall of 1892 and again in the winter of 1893, the German parliament discussed a bill that proposed a new mean time for all of the German Empire—one that was one hour faster than Greenwich, United Kingdom. The bill passed and became law on April 1, 1893, for both internal administrative and external purposes of daily life. Von Moltke was addressing a subject that was arguably one of the most important social, political, and cultural transformations wrought by a long nineteenth century: the emergence of modern times. In an arduous and drawn-out process, local times were abolished in favor of time zones and countrywide mean times; the Gregorian calendar spread to parts of the non-Western world; time was eventually severed from natural and agricultural rhythms and instead assumed a more abstract quality, a grid to be grafted onto natural rhythms; time was increasingly linked up with occupational notions—work time, leisure time, recreational time, time for acquiring useful knowledge. In many parts of the world, these transformations that lasted almost a century resulted in an even greater variety of times, as religious and other times and local calendars continued to be used alongside new ones. Hybridized and again transformed by changing patterns of communication and occupation in the postindustrial society, the modern times are still with us today. 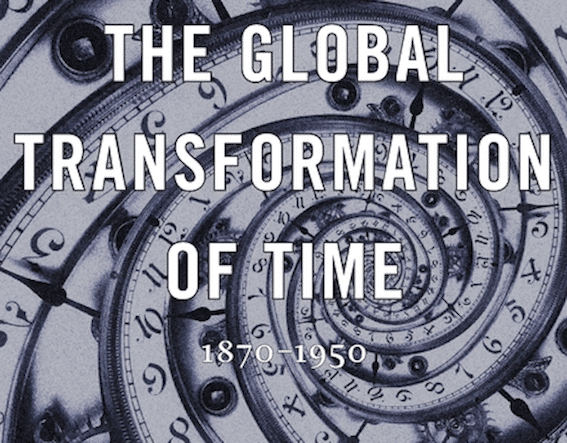 Around 1900, some contemporary observers, aware of the extent to which interconnectedness was redefining time, space, and social relations, pictured a world that was turning into a global village. At the same time, others saw that the world was also a set of competing nation-states, in which distinct national identities and national belonging increasingly took center stage. A global history of ideas about reforming time shows that it was both. Ideas about time spread from Europe and North America to other parts of the world. In those places, their implementation was initially as national and regional. The origins of what would become universal time were thus local, national, and sometimes regional. When Moltke and others looked around in the nineteenth-century version of the global village, what struck them was how fiercely competitive the shrinking world had become. The overcoming of distance seemed to signal not just the facilitation of travel and communication, but also a general encroachment; peaceful coexistence in such a small world was ever more difficult to imagine. 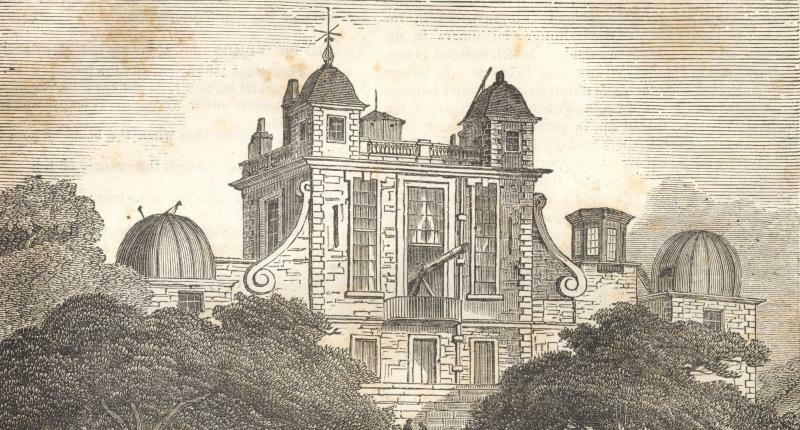 Wikimedia- Greenwich Observatory, image published in “The Penny Magazine”, Volume II, Number 87, August 10, 1833. In Europe, the continent was struggling to accommodate the rise of a new, ambitious, and increasingly aggressive great power and economic might: Germany. Outside of Europe, a territorial grab for the last remaining uncolonized swaths of land was in full swing, with even Japan and the United States now marking their own realms of influence in Asia and the Western Hemisphere. 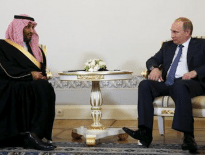 This impression of zero-sum competition was not even restricted to great power politics. It permeated the sciences and other academic disciplines; expertise and knowledge could translate into power that would allow one nation to overtake others. Likewise, both Western and non-Western societies sought to bend the flow of goods, people, and ideas about time to serve their own interests. Whether in Berlin or Beirut, London or Bombay, contemporaries were obsessed with establishing differences and similarities between themselves and others. They compared everything from the level of civilizational progress to economic strength, demographic developments, the shapes of human skulls, scientific achievements, and various ways of measuring clock time, designing calendars, and managing social time. But without a universal way of measuring time, comparisons lost meaning; it was thus the drive to categorize and compete that pushed countries to internationalize and universalize time. In these years, the nation was imagined not only as a national community but as a part of a global community of societies and other nations that were all positioned in historical time. Non-Western societies—either deemed “peoples without history” or people at an earlier stage of civilizational and evolutionary development—were destined to be the subject of anthropology rather than history. Time, or the absence thereof, thus became a measure for comparing different levels of evolution, historical development, and position on a global scale. Social time, too, could serve as a competitive device of sorts. In the second half of the nineteenth century, workers and employers alike struggled over the meaning and division of social time, of work time and leisure, and the appropriate proportion between them. The very act of dividing time gave rise to a heightened awareness for efficient time management. Western citizens and subjects were exposed to time discipline in schools, factories, the military, and other institutions. Meanwhile, in the eyes of Western missionaries and businessmen alike, non-Westerners were collectively indicted as work-shy and incapable of proper time management. In a world of imperial competition, these stigmatizations were occasionally even internalized by reformers in areas that had not yet fallen under European rule but stood at risk of succumbing to it. Arab intellectuals in the Levant, for example, urged their contemporaries to improve their time management in order for the “Eastern” civilization to catch up with Europeans. Beyond the competition that led to modern time, there were also collaborative drivers. The desire for efficiency pervaded the swelling bureaucracies and administrations of nineteenth-century states. Fine-tuning schedules and timetables for trains and telegraphs became one of the major preoccupations of nation-states eager to move forward. But for national times to be rational and efficient, they had to be integrated with other national times, initially those of neighboring states but increasingly of the whole world. Even when implementing nationwide mean times, nineteenth-century contemporaries imagined the place of the nation in regional time, if not always in world time. 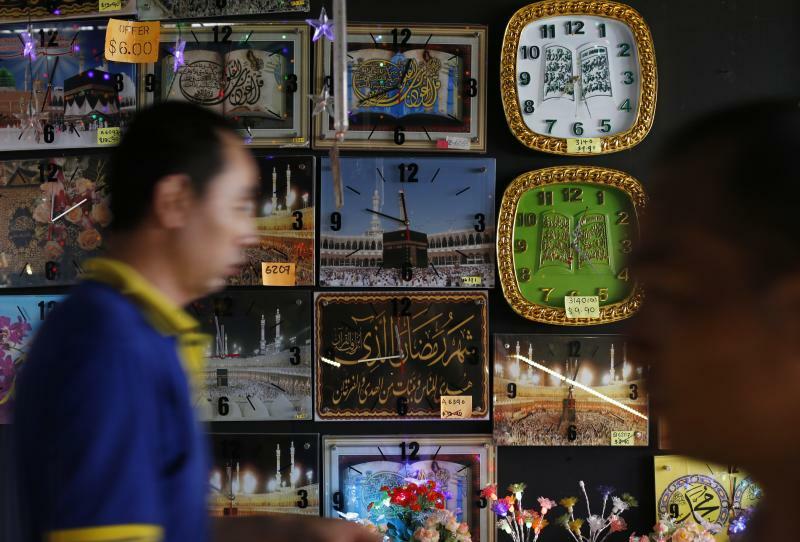 People pass a stall selling clocks, depicting religious verses and pilgrims at the Hajj, at a Hari Raya bazaar, on the eve of Eid al-Fitr, in Singapore July 27, 2014. The “why” of the universalization of time might be clear, but the “how” is somewhat murkier. Time management found many followers in the non-Western world, but it was the Europeans and Americans, who in the 1890s, first devised all-encompassing, universal plans for time reform. The promotion of a system of 24 uniform segments of time, each one hour long, by European and American astronomers, diplomats, and railway men was the most ambitious such plan. Everywhere in the world, local solar times would be abolished to make room for new mean times that, given their uniformity, would be easily comparable and calculable. From universalized time measurement, calendar reform followed naturally in the late nineteenth century. The Gregorian calendar was introduced in a number of non-Western countries in the beginning of the twentieth century. By the end of the century, several religious groups had discussed reforming their respective calendars to accord with the Gregorian calendar, and Euro-American businessmen demanded the adoption of a uniform “World Calendar.” Comparing calendar times and devising conversion formulas for navigating the different calendars became a major preoccupation among economists, calendar reformers, and curious laymen alike. 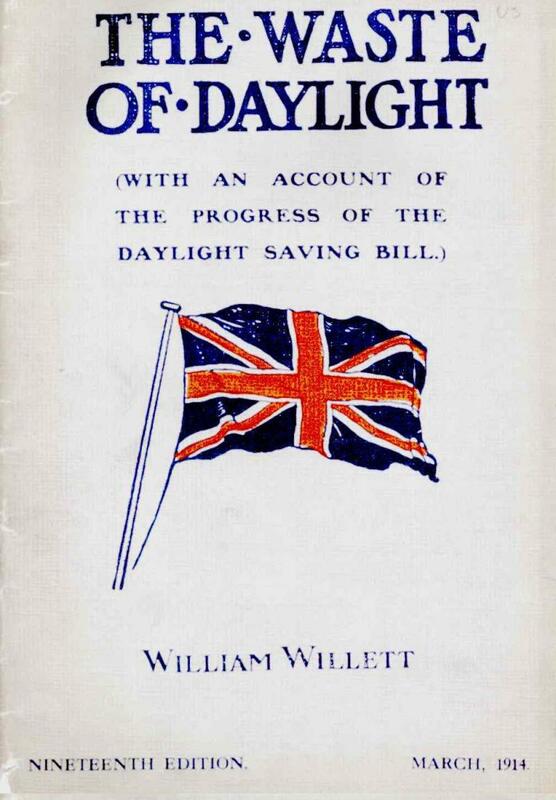 Cover of the 19th (and last) edition of the pamphlet “The Waste of Daylight”, written by William Willett, who independently conceived DST in 1905.
which is widely understood to have evolved from natural, “concrete” time, marked by the sun and the seasons to what is commonly understood as “abstract” time, was measured first by mechanical and eventually by atomic clocks. While scientists, astronomers, and railway men focused their energies on accuracy and measurement, government officials and legions of journalists, publicists, and self-declared “experts” focused on the political implications of time. Beginning in the first decade of the twentieth century, government officials and other experts grew increasingly concerned with the deviation of mean time from solar time and the most prudent use of daylight. Administrators in Europe and the United States started worrying about saving daylight and scolded what they perceived as a “waste” of light especially during the summer months. More explicitly than in previous discussions about mean times, in their view, time was now infused with social ideas and meanings. The adoption of summer or daylight saving time seemed to be a way to encourage people to use their time better. In an age when the working class was expanding, when more democratic political participation became a reality and to some, a threat, daylight saving time was hailed as an expedient for forging good citizens. The state was an ambivalent source of new times. Beyond Europe and North America, colonial governments did not always see an immediate need to expand the use of uniform, hour-wide time zones. But beyond Europe and North America, colonial governments did not always see the point of following uniform, hour-wide time zones. In instances where mean times were introduced early, as in British India, they had the potential to incite protests precisely because the new times emanated from the colonial state. In other cases, where the existing state refrained from or was simply too thinly spread for tackling the logistics of time unification, adoption happened more naturally when inspired middle classes realized that it was in their own interests to follow Western time. 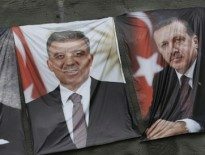 In the Arab provinces of the Ottoman Empire, for example, European and American consuls, missionaries, and merchants were landing on Eastern Mediterranean shores in growing numbers and were founding schools, universities, and their own courts of law. In this context, grafting their own time to Western time as a way to compete came naturally. Local reformers penned essays and articles in the flourishing Arab-language presses to communicate their reflections on time but also, occasionally, poems about telegraphy and clocks. To be sure, not everyone endorsed modern technology and the time it brought. At the beginning of the twentieth century, Muslim legal experts and learned men engaged in a heady debate about whether it was in accordance with Islamic law to use a telegram to report the sighting of the new moon, and whether it was permissible to act on such a telegraphic message and declare the beginning and end of the fasting month of Ramadan. Such controversies ultimately raised the question of just how universal Islamic calendar time could be, given that Muslims lived all over the world. Modern-day historians writing in English mostly use standardization when telling the story of adopting time zones. Standardization, however, is by no means merely descriptive either, but rather a historical term that predominated in the United States and rarely beyond. The term only became widespread with the success of Fordism in the 1920s and 1930s. It is therefore tied to a specific notion of uniformity and uniform time and is here mostly reserved for this particular context. Nineteenth-century observers used terms such as “uniform” and “universal” time and spoke of the “unification” or “reform” of time and calendars. “Uniform” and “universal” carry their own historical baggage, and “reform” is not a neutral term, either. It oozes nineteenth-century notions of the malleability of social behavior and the desire to “correct” humans. Victorian reformers in particular, and their contemporaries in other European societies as well, were fond of such notions when targeting crime, sexuality, and other vices. Yet the language of universalism, uniformity, and reform was the idiom spoken by the countless individuals around the world who sustained the global transformation of time, historical actors without whom this story is unimaginable. 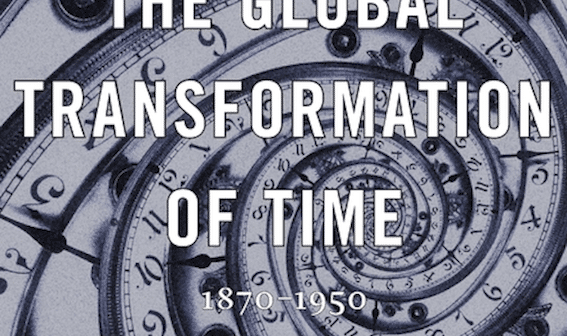 Excerpted from The Global Transformation of Time: 1870-1950 by Vanessa Ogle. Copyright ©2015 by the President and Fellows of Harvard College. Used by permission. All rights reserved.